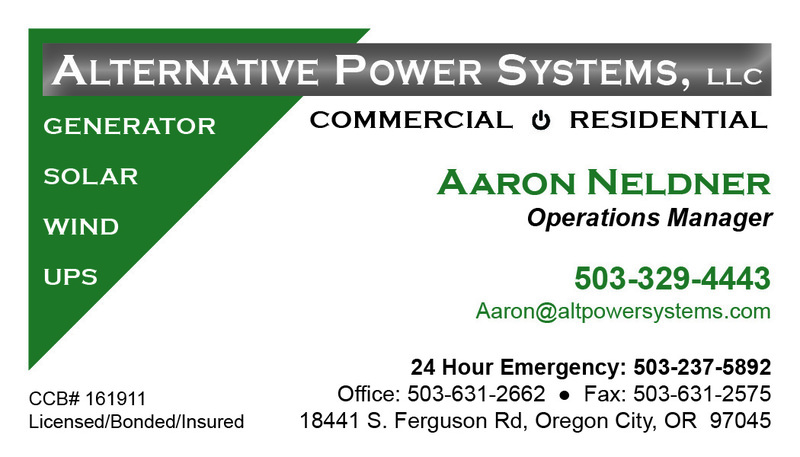 Alternative Power Systems is a locally owned and operated business serving the Pacific Northwest with outstanding, personalized service since 2004. We develop emergency power systems using generator, solar, wind, and UPS power that can back up your entire home or business in the event of power outages. We are an authorized Generac dealer.